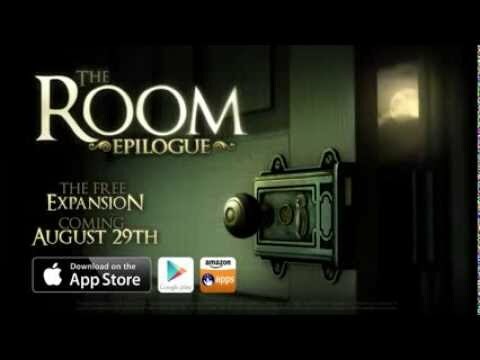 Welcome to The Room, a physical puzzler, wrapped in a mystery game, inside a beautifully tactile 3D world. How are you, old friend? If you’re reading this, then it worked. I only hope you can still forgive me. We’ve never seen eye to eye on my research, but you must put such things behind you. You are the only one to whom I can turn. You must come at once, for we are all in great peril. I trust you remember the house? My study is the highest room. Press forward with heart. There is no way back now. Fireproof Games are very proud to bring you our greatest creation, a mind-bending journey filled with beauty, peril and mystery in equal measure. Be transported into a unique space that blends spellbinding visuals with intriguing problems to solve. • Unsettlingly realistic graphics: The most natural looking visuals ever seen on a mobile device. • Spine-tingling single finger controls: touch controls so natural you can play with one digit, to fully navigate this mysteriously beautiful 3D world. • Fantastical pick-up-and-play design: Easy to start, hard to put down, the secrets of The Room will immerse you before you even know you're playing. • Compelling layers of mystery: think you know what you're looking at? Think again. On recent Android version, keeping navbar on the right side of the screen by flipping the phone up side down is the key to play.